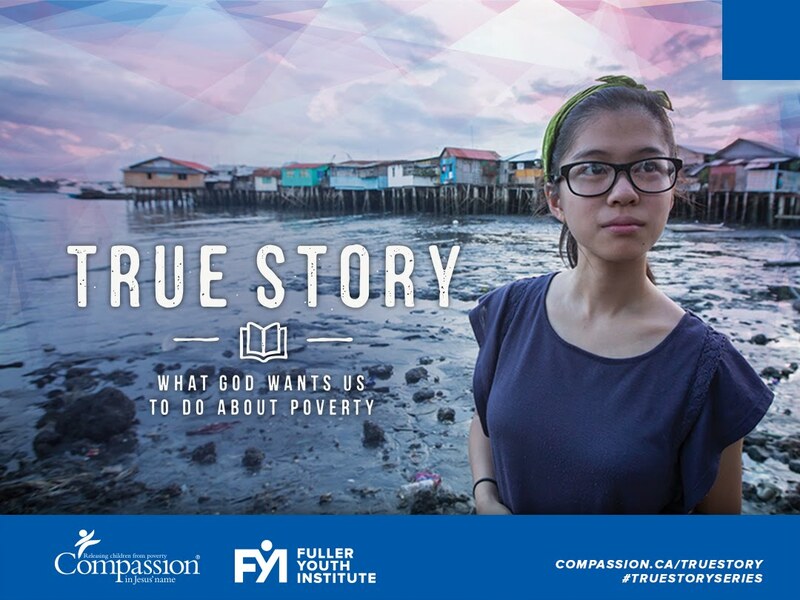 This is a guest post that I've written about the Philippines for Project 195. For sure check out Hannah's blog, she is such an inspiration! I recently spent three weeks in the Philippines. Yes, my parents were born there and we did visit quite a few relatives, but this trip was as much missions as it was vacation. As I sit here with my laptop in my parents' bedroom watching TV, I look around and see a room bigger than my Compassion child's whole house. But I also see a room not even a fraction of the building [yes, I said building] my great aunt and uncle live in. And I think that's what so interesting about the Philippines. You drive down the street and see countless families living in shacks, starving... And minutes later you're turning into one of the most luxurious houses you've seen, sitting down to a huge meal. The Philippines has the poorest of the poor, AND the richest of the rich. It's hard to reconcile this contrast, but it's also easy to sit down to that very yummy food and lie down in that fluffy hotel bed and just forget. I really hope I don't forget. 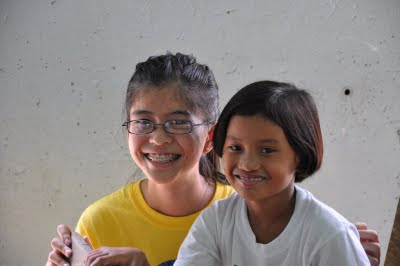 While in the Philippines, we were able to visit our Compassion child, Florianlyn. 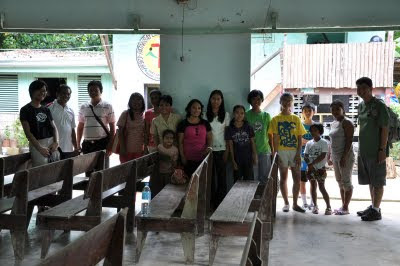 What I saw in her hometown, Masbate, both broke my heart in two and gave me hope. Although few words were said by her, spending the morning with her, playing on the beach, it was so, so, so precious. Then we visited her church, which was so cool. We met her teachers and the pastor, and saw, really saw, that our money and prayers do get there. It's all worth it, trust me. It all gets right there: to the church, the kids, the families. I have absolutely no doubt of that. Lastly, visiting her home. This broke my heart. As I said, it's smaller than a average North American master bedroom. There was a hole in the roof covered by a tarp. No running water, no kitchen. Florianlyn, her parents and her two sisters live here. But there was hope. Florianlyn's mom said that because of the ministry of Compassion, Florianlyn is getting a good education, and wants to help her family when she grows up! I met many others, and if I told you about them all this would be a very long post. I met three others in the Compassion program and six kids who we are sponsoring to go to school through and organization founded my mom's former classmates. I met Justin, a street child, and a man working as a driver who has nothing because of his wife's sickness. I met a 21-year-old maid who hasn't been to school since she was 12. 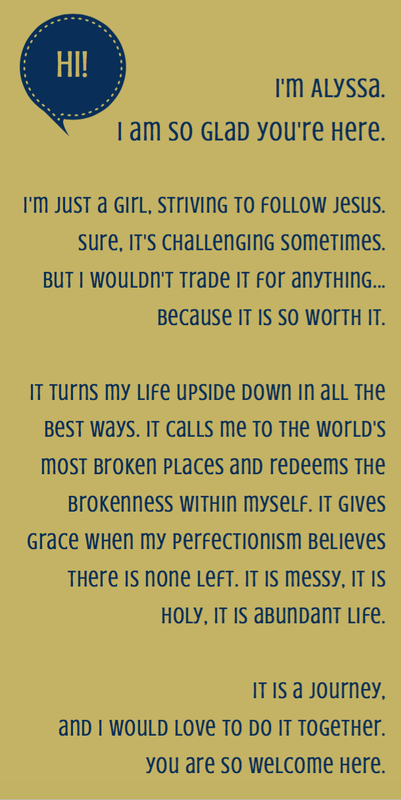 I saw hopelessness and hope, brokenness and peace. 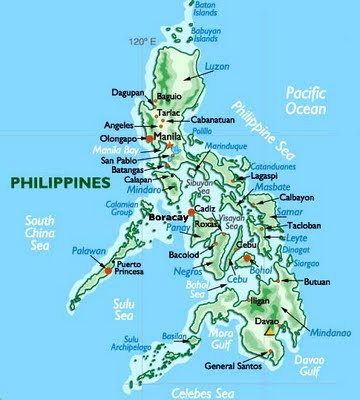 Philippines is a beautiful country, the people and the land alike. But it is also a very, very broken country. I look at all this brokenness and wonder how this country could ever get better. Where to start? It's stories like Florianlyn's and the others' that I met give me hope. Those one-person stories. And I realize that this country will rise up again: one person at a time. One doctor, one maid, one business owner, one shopkeeper. One leader, one wandering heart, one person who asked questions. Little by little, one prayer at a time, one heart at a time, the Philippines will change. The world will change. 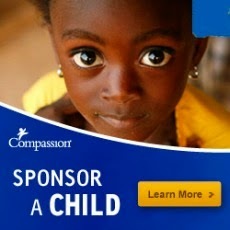 Please consider changing one life: the first step to changing a country, by clicking here. Love, love, love! You're posts are so cool. I can totally see your heart when you write. Can't wait to share your passions with everyone! Thanks so much!